Many project managers overlook the fact that once their delivery is underway, effective project communications becomes one of the most important factors in a successful project. The reason for this is that whilst project communication is hard to teach, it is a "soft" skill which every accomplished project manager must possess Therefore if you don't like talking to people, then don't become a project manager! Project communications can take many forms. There is the formal approach which you need to detail in your project initiation document communication plan section. 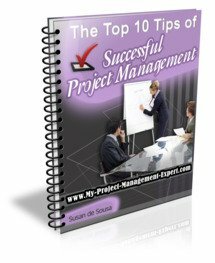 On bigger projects you should also produce a more detailed project communication plan. However the reality of having to actually write down how you plan on communicating on your project is to reassure others that you haven't forgotten about this area. It is not there to ensure your project communications are effective. Sadly too many project managers forget this. They simply think that as long as they have a plan and follow it rigidly then the project will be successfully delivered. Does this sound familiar? No the keys to effective project communications are following a routine coupled with flexibility. So when you kick off a project and have been assigned team leads, make an effort to go round and meet them all in person and introduce yourself. This is especially important if you are new. Further ensure you have a project team meeting at the sametime and in the same room for the entirety of the project. This will ensure you get a higher attendance as resources will block book out the time. Make life easier for your team. Remember many of them are unlikely to be only working on your project, so set up a conference call as well which they can dial into. At the more flexible end instead of sitting at your desk surfing the web and eating a homemade sandwich, start have lunch with others in the canteen. Not only will you pick up interesting gossip, but also useful titbits regarding how other projects are really going (including your own) as well as what the major problems are. You will also build up a useful rapport which means when things on your project have to be done as a rush job because they were forgotten, (happens on every project no matter how experienced the project manager), they are more likely to help you without you having to escalate the matter. And remember, if you don't have to escalate the matter no one needs to know you overlooked some deliverables do they? Don't forget that you need upwards and downwards communication on every project. If you spend all your time crawling to your project sponsors you will quickly find you don't get that additional extra help from your team. At the sametime, if you don't give your project sponsors enough attention you will quickly find your reputation suffering as they take potshots at you at program boards. So remember project communications management is all about routine, balance and flexibility. It is also about ensuring your project is more effectively delivered, not about just having loads of meetings. Remember that and your project is more likely to run smoothly.